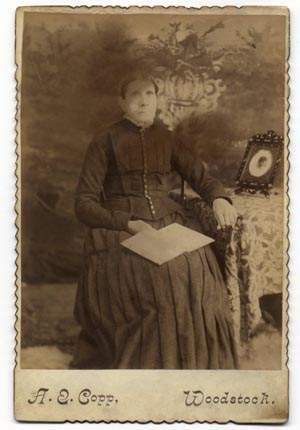 My grandmother, Mildred Knox Brown Pollock, was named for her grandmother, Margaret Knox Brown. When I asked her about her grandmother, she replied that she didn't know much about that side of the family, and had never met them. She did say that Margaret Knox had been the second of three children. "President Lincoln's favorite poem was written by Wm. Knox (Marg. Knox' 1st cousin)"
. . . a swift moving cloud"